Most schools and universities that make up the National Autonomous University of Mexico are on a 48-hour strike, the biggest in 18 years. 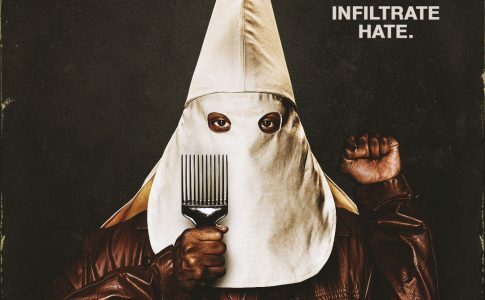 What sparked this massive movement? Our names are Joss and Claudio and we are students at the UNAM in Mexico City. Just a few days ago, we were among the 200,000 who mobilized on campus against the attacks from university hired thugs called “porros”. Claudio was among the students attacked by porros on Monday while he and hundreds of other students protested university policies. Two students are still in critical condition after these brutal attacks. 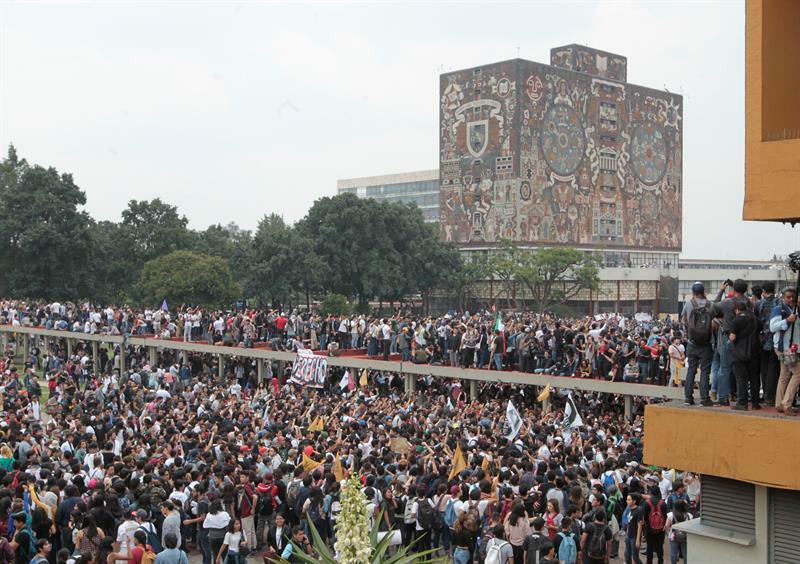 These are the largest mobilizations at the UNAM in the last 18 years. There were massive assemblies that led up to a two-day university stoppage led by students. As we near the 50th anniversary of the massacre of students in the Tlatelolco Housing Unit, we are writing a new chapter in the history of student organizing at the UNAM. The National Autonomous University of Mexico (UNAM from its Spanish acronym) is the largest and most important university in Latin America. There are 350,000 students at the UNAM and its biggest campus is University City (CU in Spanish) in the southern part of Mexico City, which houses the most schools and the most students. Although the UNAM is a university, there are also 150,000 high school students who take classes at UNAM. These students are between 15 and 19 years old. The UNAM has a rich tradition of left mobilizations. In 1968 the UNAM and the Polytechnic spearheaded a movement against police brutality. This movement was brutally repressed and on October 2 of that year, 400 students were killed by the army in the Tlatelolco Square. In 1999, students went on strike for 9 months against attempts to privatize the university. Since 1999, there haven’t been any massive mobilizations within the UNAM. But attacks by porros early this week changed all of that. In Mexico, a “porro” is student slang term for a thug hired by the university and establishment political parties. This name derives from “porra” (Spanish for “cheer”). These groups date back to the 1930s when the Mexican government and the PRM (Mexican Revolution Party, the immediate predecessor of the PRI, the Institutional Revolutionary Party) began to send hired youth to keep university students under control. Many of these youth were involved in organized sports, such as wrestling and football. In the 1950s, these groups began to organize the cheer squads of the university football teams (hence their name) as a way to recruit people and form shock groups to repress the growing left at the university. By the 1990s, porros had spread to other public schools like the Polytechnic and developed their own gang subculture. They extorted teachers and sold drugs thanks to their links with narcos, while maintaining de facto status as students. Whenever student struggles begin to question the political system, the “porros” violently attack students and especially left organizations, acting as mercenaries of the state. Porros usually wield sticks, knives and sometimes even guns, attacking leftist students and those who begin to mobilize. 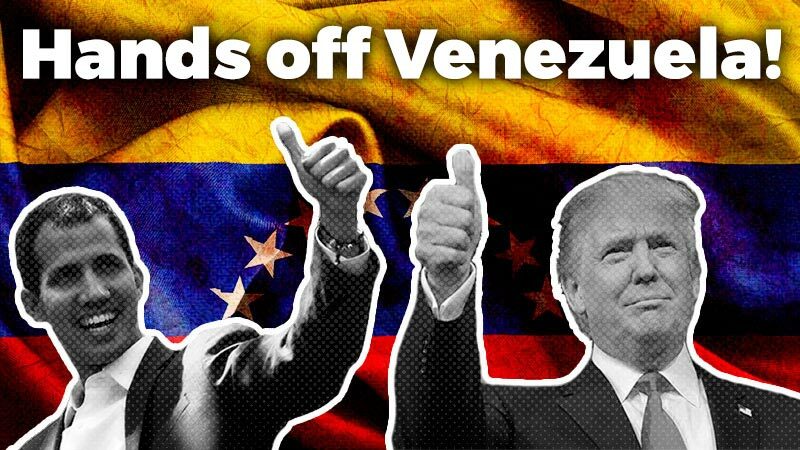 They are closely linked to capitalist political parties and university authorities. For decades, the Mexican student movement denounced university authorities, the PRI, and the PRD for financing porros, rewarding their leaders academically, and granting them positions within the university structure or public bureaucracy. A student assembly votes to strike. 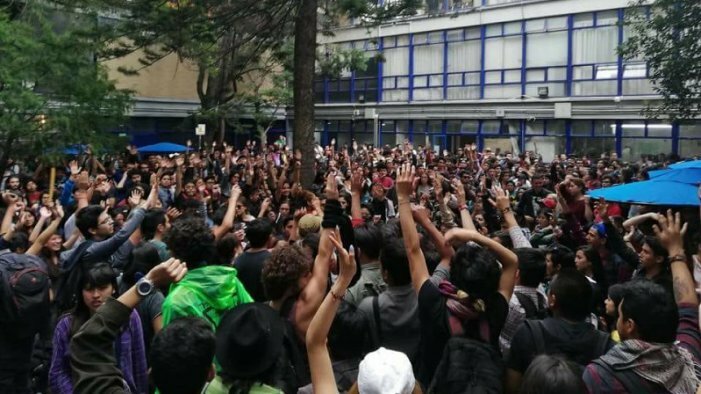 On Monday, a protest took place to repudiate an attack in the previous week by the “porros” against students of CCH-Azcapotzalco, one of the high schools in the UNAM. The protest denounced the cancellation of classes in CCH-Azcapotzalco due to budget cuts as well as the femicide of Miranda Mendoza (an UNAM student), and also called for freedom of expression within schools. The issue of freedom of expression emerged because the administration of CCH-Azcapotzalco decided to paint over several murals expressing political protest. One of those murals was a tribute to the 43 disappeared students of Ayotzinapa in 2014. Most protesters were high school students between 16 and 18 years old. As the rally was taking place at the entrance of the chancellor’s office, porros from CCH Azcapotzalco, working with UNAM’s security coordinator, attacked the protesters with Molotov cocktails, firecrackers, broken bottles, bamboo sticks, plastic pipes and knives. This brutal assault resulted in 14 students wounded, two of whom are still in the hospital in critical condition. This sparked a massive rebuke by the student body, with hundreds participating in assemblies culminating in a massive Wednesday mobilization of over 200,000 students. At these assemblies, students voted to go on a 48 hour strike. So far 38 schools within the UNAM and two schools outside of the UNAM network have joined. Even traditionally right-wing schools like Laws and Medicine decided to go on strike. Workers from the UNAM expressed their solidarity by joining students and supporting the demonstrations and strikes against the porros. Is a new student movement emerging in Mexico? 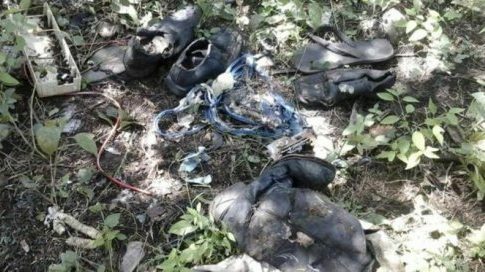 In Mexico, the struggle to dismantle the porros and their groups has always been linked to the questioning of the university regime. It is the most rotten face of the UNAM’s lack of democracy. The same people who finance and protect porros are the ones who charge students money for what is supposed to be free tuition and who underpay the teachers. 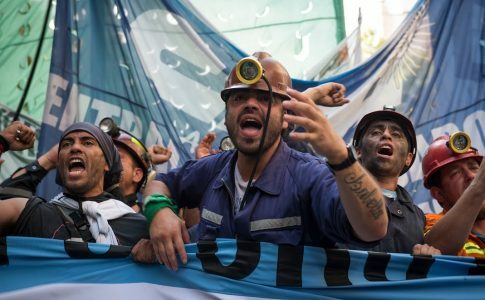 Those who finance and protect porros provide the chancellors and deans with high wages while cutting public education and encouraging UNAM’s privatization. As students at the UNAM, we know that we need to build a mass movement by organizing amongst students, workers and teachers. We also know that we are not alone. We are in the company of the students in Argentina struggling to defend public education against IMF cuts and the Nicaraguan students who face the repression of Daniel Ortega and his cronies. We have the lessons of our comrades of 1968 who also fought against the PRI’s authoritarianism and were massacred in Tlatelolco. We are also emboldened by the lessons of the historical UNAM strike of 1999. We know that we can only have a democratic university if we challenge the university regime and fight to defend public education. 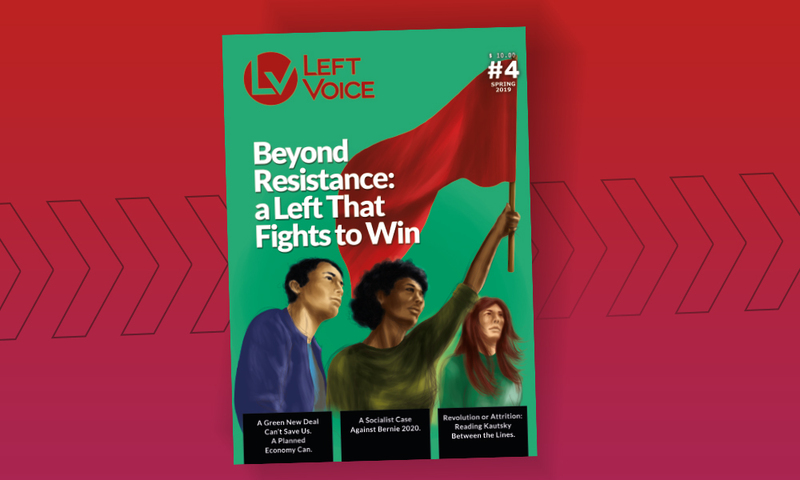 Our struggle is not disconnected from that of workers who fight for wage increases, of teachers who defend public education, of women who mobilize against femicide and for access to free and safe abortion services or of all the people who oppose militarization and the war on drugs. We want a university at the service of our society’s needs and we stand side by side with all the exploited and oppressed of Mexico.